Following the recent success of the Newtown book, Whippingham is the next Island location for the Halsgrove publishing series. These hardback books are effectively the result of contributions from the community, and the Whippingham project was launched at a meeting in the local centre in mid-December. It is anticipated the exercise will take around 12 months to complete, with publication in 2006. Halsgrove have already published around 140 titles of this type of history book nationwide. The first on the Island covered Newtown. As yet there are no plans for more Island publications to follow Whippingham, although Halsgrove are keen to make contact with any local authors or history societies, with a view to further projects. Contributions from the community, including past residents, are an essential feature of these books. They are either organised by a single author or compiled as a group exercise, as at Whippingham. All contributors are credited in the book and this, along with many local names in the text, encourages orders prior to publication. Between 250-300 pre-publication orders are required for the book to proceed. The books are not intended as academic works, being mainly aimed at the growing enthusiasm for nostalgia and family history, with the emphasis on pictures. Some people provide research but much space is given over to recollections of the recent past and the book offers the opportunity to record photographs from private collections, many of which might otherwise never see the light of day. Anybody who feels they may be able to make a contribution to the Whippingham book should contact Brian Taylor on 01983 883341 or email: briantaylor@talktalk.net. He will also be able to provide a contact for any Island authors or organisations considering proposing their own location for future publication. 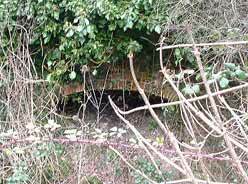 Concern has been expressed about the long term survival of the Island's last two remaining limekiln structures. The most accessible of these is alongside Strawberry Lane, under Mottistone Down. The kiln has no statutory protection and is now heavily overgrown. It is on National Trust land and they have responded sympathetically to calls for its restoration. The kiln is built of brick and stone and is thought to date to the second half of the 19th century. It was used to burn lime for field spreading. The full extent of the structure is unknown due to it being partly buried and heavily overgrown, although the facade is just visible and appears to be in reasonable condition. Unfortunately the roots of surrounding trees and shrubs are in danger of finding their way through the brickwork and it could begin to break up. Limekilns were once common on the Island. There is a local reference to farm lime burning as early as the 17th century. From the beginning of the 19th century, the Napoleonic Wars, followed by the Corn Laws, made grain highly profitable and much pasture land was converted. During this period Island farming was at its most prosperous and the number of limekilns probably increased dramatically. Many of them were perhaps simply carved into banks, as at Moons Hill, while others involved brick or stone structures. The only other standing limekiln is at Idlecombe, which is an interesting example but somewhat off the beaten track. The Mottistone kiln has the advantage of being by the roadside and accessable to the public. The Island has a poor record of preserving kilns of any type. The rare Victorian cement kiln by the Medina has been allowed to become dilapidated, and the council-owned brick kiln at Newtown is crumbling away. It would be a pity if the last two limekilns were allowed to go the same way, particularly as farming has played such a prominent part in Island life. As East Cowes begins one of the Island's biggest ever town redevelopments, there is anticipation that extensive excavation may expose some of the area's early maritime history and prehistoric activity. Developers are obliged to organise archaeological access to any town building work. In this case the project is backed by SEEDA and they are providing considerable resources to permit one of the most comprehensive archaeological surveys of its type the Island has seen. A team of archaeologists have already carried out preliminary research via local documentation and previous archaeological evidence. This will help to target particular areas. Test pits and trenches will begin in late spring/summer. Thereafter further work will depend on what is found. There will also be a watching brief on all building excavation. Deep water harbour facilities and shipbuilding at East Cowes have been traced back to the 17th century, but early topography and the original coastline is unknown. Core samples should provide some answers and the Shrape mud may well give up some interesting maritime finds. One particular outstanding mystery concerns Henry VIII's castle, the sister of West Cowes Castle. There are theories as to its general location but it is hoped archaeology will discover the exact site. East Cowes has scattered evidence of prehistoric occupation but the waterfront section has offered little opportunity for discoveries in the past, and there is insufficient open land for useful metal detecting. It will be interesting to see whether there was any prehistoric riverside occupation and how far back it goes. The last few years have seen increased archaeological activity on the Island. This is partly due to initiatives by the County Archaeology unit and the growing enthusiasm for metal detecting. It is also due to watching briefs on development sites, notably the Southern Water pipe laying project. The East Cowes project has the potential of being the most revealing to date.